Images in the photo above are from: The Real Food Dietitians, 730 Sage Street, Two Lucky Spoons, Wicked Spatulas, and The Paper Mama. My husband loves to spend hours cooking delicious meals, but that’s only realistic for our weekends. Our weeknight meals should be quick to put together. Since I’m doing most of the weeknight cooking I want the recipes to be simple. Nothing too complicated for me, thank you. 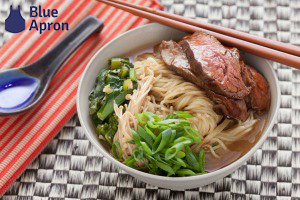 Below I’ve complied a list of 21 Easy Weeknight Paleo and Low Carb Dinners. I haven’t tried all of these recipes, but we have made the Lettuce Wraps (Inspired By PF Changes, Creamy Spaghetti Squash Casserole, Chicken Thighs with Creamy Bacon Mushroom Thyme Sauce (I highly recommend this recipe), and Low Carb Crispy Chicken. All delicious. 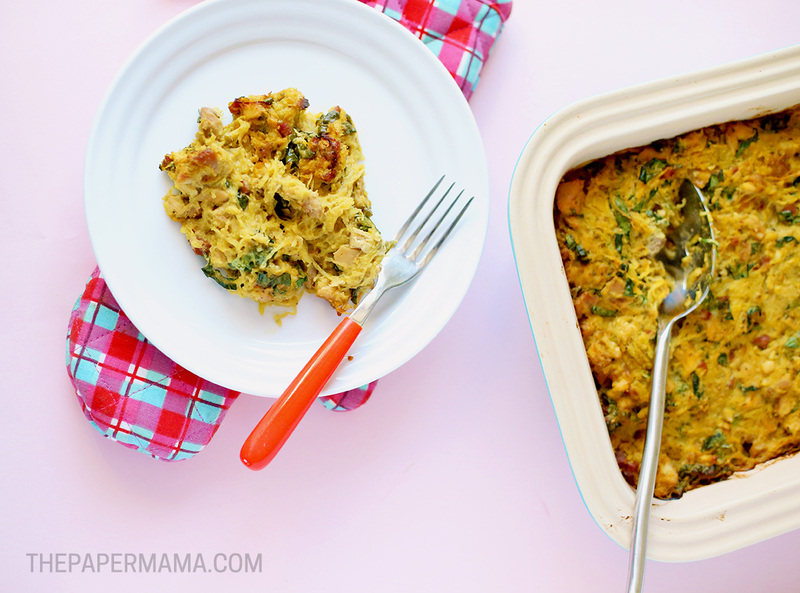 My Creamy Spaghetti Squash Casserole with Chicken and Chorizo may not be the most beautiful meal we have ever made, but it’s a tasty and simple dinner. As I’ve mentioned before I have cut back on most anything containing wheat, corn, grains, and all that tasty stuff. In addition, I try to minimize how much dairy I eat, SO we get a bit crafty with our meals. How is this meal creamy? It’s the coconut milk! I swear you barely taste the coconut. Where’s the cheese flavor? 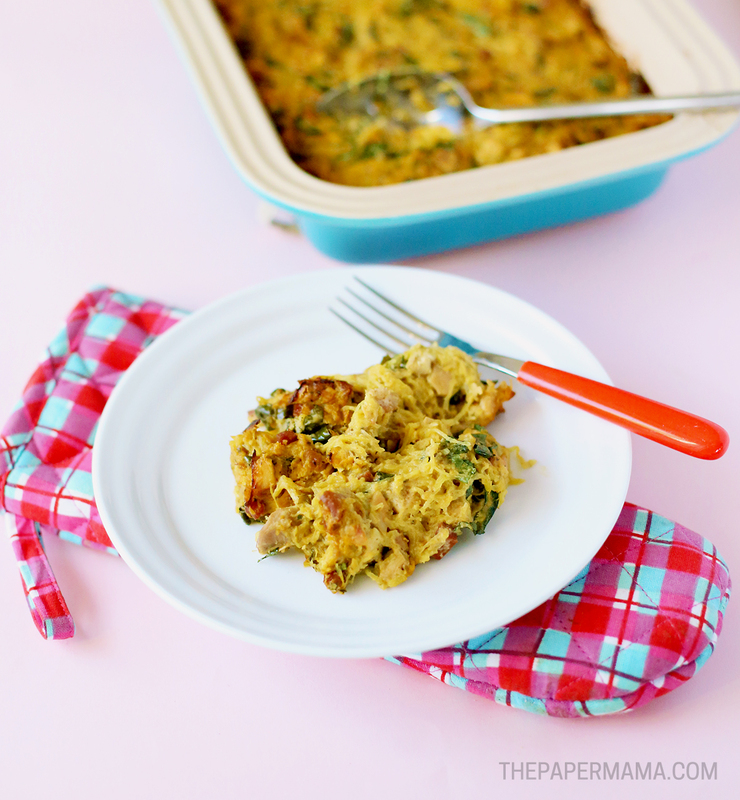 Nutritional yeast is a great way to get that cheesy taste I miss and it really adds a good flavor with all the spices and chorizo (check out my Magical Cheesy Kale Bites for another yummy nutritional yeast recipe). If you are not dairy-free you can replace the yeast with parmesan and the coconut milk with heavy cream. Disclosure: This DIY Felt Plantable Flower Garden post is sponsored by, Ben and Holly’s Little Kingdom. My DIY Felt Plantable Flower Garden was inspired by the beautiful imagery in the series, Ben and Holly’s Little Kingdom. The show takes place in the Little Kingdom, a tiny land where flowers and grass grow above the tallest towers! This DIY is the perfect toy for this Summer and Spring! I hung this sweet garden on the wall and my daughters LOVE picking their flowers and planting them over and over again. My oldest even requested gardening gloves while she played. We do a lot of real gardening at our home, but sometimes it’s nice to have something fun and creative for my kids to do indoors on rainy days… or days I don’t want to take the kids to the playground. 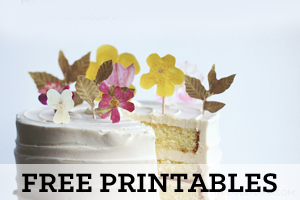 I’ve created flower files for you guys, my awesome readers, to make this for yourself. I have files to cut it on a Silhouette machine, if you have one, or images to use as patterns and cut by hand. Are you ready to get crafting? 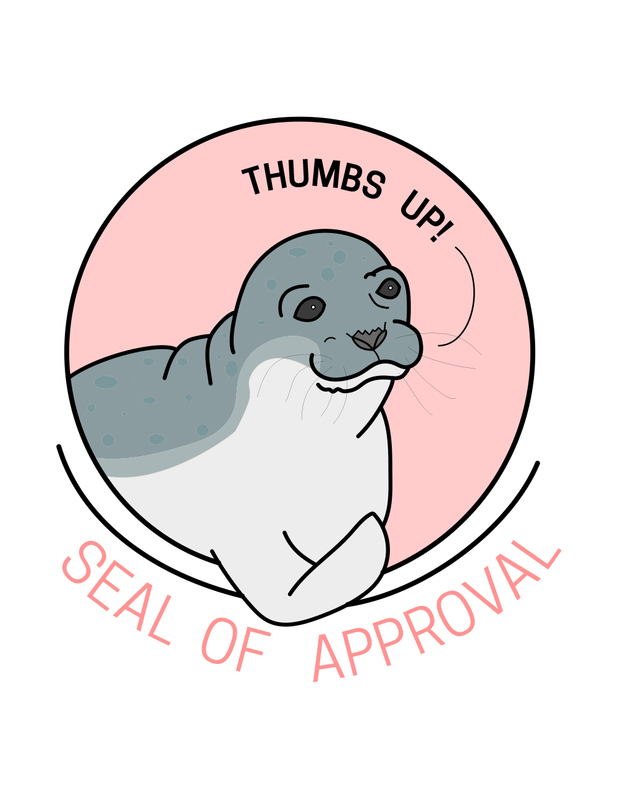 Tomorrow’s Newsletter: Free Seal of Approval Printable! If you like special discounts, freebies, and fun stuff: my newsletter is for you! My Monday newsletter is coming out tomorrow morning, so if you’d like my “Seal of Approval” free printable… sign up this week! It’s a special gift only for the newsletter subscribers. If you want this print (and more freebies in the future) head on over here to sign up for a twice a week fun email! If it’s already Monday and you missed this newsletter and you still realllly want this print: no worries! There’s always a link in my newsletters for past freebie items. This print will be available through April. It’s Friday (about time) and I’m so ready for the weekend. How’s it going over there? Good week? To celebrate the end of the week I wanted to share 10 Creative Doughnut DIYs. 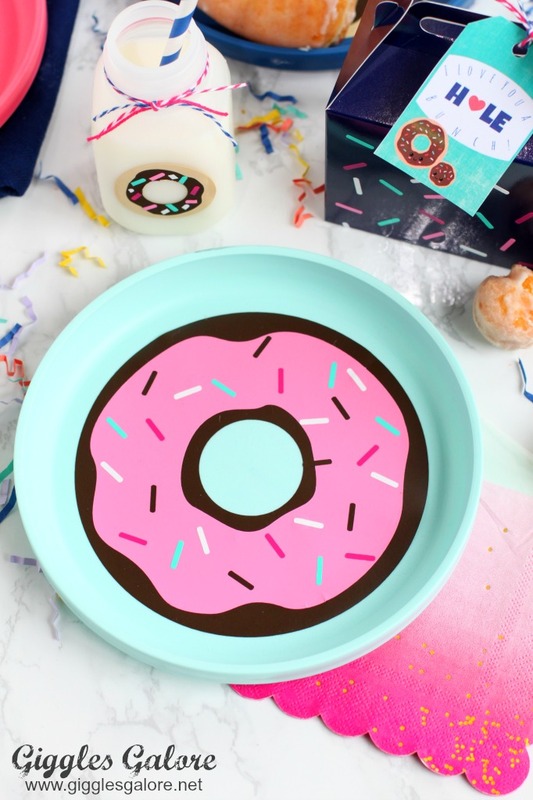 Searching for doughnut DIYs definitely improved my week so I thought it’s only polite to share them with you. You may notice that a lot of them are from Studio DIY. That’s because she’s pretty much the doughnut lady (she has even more on her site). Enjoy! 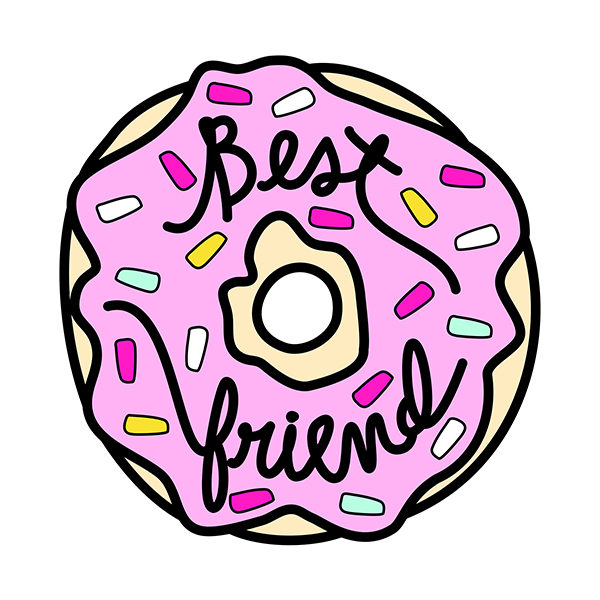 Free Best Friend Doughnut Print For Newsletter Friends! 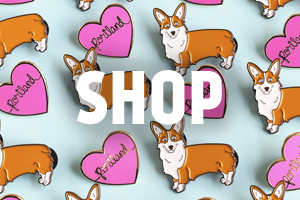 If you like special discounts, freebies, and fun stuff: my newsletter is for you! My Friday newsletter is coming out tomorrow morning, so if you’d like my “Best Friend Doughnut” free printable… sign up this week! It’s a special gift only for the newsletter subscribers. If you want this print (and more freebies in the future) head on over here to sign up for a twice a week fun email! If it’s already Friday and you missed this newsletter and you still realllly want this print: no worries! There’s always a link in my newsletters for past freebie items. This print will be available through April.